For the last few years, this wondrous mythical creature has dominated every aspect of modern living. 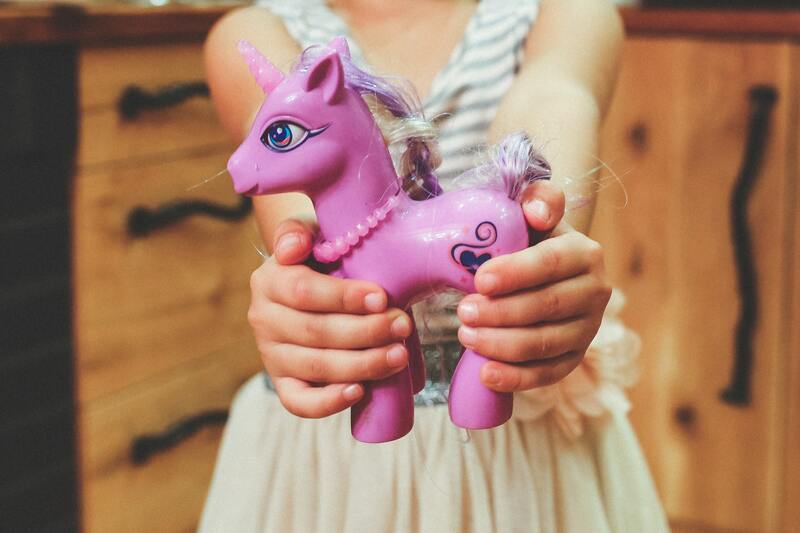 Clothing, gifts, drinks and even what we eat has all been touched by unicorn magic. Pastels, glitter and rainbows play a huge part in creating a unicorn theme and it is a great option for a birthday party for little ones as well as adults! Who doesn’t love a unicorn? First things first, let’s get the food sorted. The main event is definitely the birthday cake, and you can either roll up your sleeves and give some home baking a go, or make your life a little easier with something shop-bought. For the latter, Marks and Spencer have an impressive rainbow layer cake that has six spongy layers of multi-coloured yumminess and an endless number of sprinkles. Or, if you want to keep it strictly unicorn, then notonthehighstreet have these cute little cake pops for your guests to feast on. If you’re taking on the bake yourself, this YouTube video from Nerdy Mummies – with over 8 million views – talks you through the process and the end result is pretty impressive. For drinks, you can go with any pastel coloured drink including pink lemonade (one Pinterest user has coined this ‘prancing pink lemonade’); a blue coloured drink – perhaps blueberry or bubblegum – named ‘unicorn tears’; and even some mouth-watering milkshakes packed full of colourful ice creams, sprinkles, edible glitter and rainbow sweeties. Alcohol-wise, Cosmopolitan recently shared 12 unicorn cocktail ideas that are sure to go down a treat if your party is for the over 18's. The ‘Golden Unicorn’ cocktail looks so delicious! The unicorn onesie is an excellent choice for comfort and style. This one from ASOS combines rainbow colours with a cute hood of unicorn ears, nose and horn. Another onesie option, this time for children, comes from ASDA and is just adorable. If you want something a little more ‘partywear’ than ‘sleepwear’, there’s so many ways to go. You can do something homemade, making sure you include glitter, rainbows and a unicorn horn; you could make a real statement by joining the hair craze of unicorn dyed hair; or you can go all out with a costume that makes you look as though you are a princess riding a unicorn! To make the most of these games, be sure to create as big a space as possible in your home. You can move furniture around or move it to another part of the house to create lots of room for unicorn-themed fun, as well as using internal room dividers to really open two rooms into one. Unicorn piñata – All you need is a blindfold, small bat and a unicorn piñata filled full of colourful sweets. Adding some glitter in too will mean that the winning whack will shower the floor with sparkles. Pin the horn on the unicorn – Just like pin the tail on the donkey but that little bit more special. Blindfold required! The tallest unicorn horn – This game is so simple and cheap to put together. Simply buy some packs of Oreos (the colourful filling ones are best) and get the participants to work in teams of two to stack the cookies on one of their foreheads. The one who stacks the highest without it toppling over is the winner. Don’t Forget the Party Bags! One of the best things about a birthday party is the little goody bag you get to take home at the end of it. Without spending a fortune, you can give a little party bag that is filled full of magic. To start with, you can throw in some colourful sweets to brighten up the bag – some great options include fizzy rainbow bites, rainbow drops (a classic) and love hearts. Etsy has some great party bag ideas that include hair ties, crayons, toys, badges and unicorn headbands. Even cheaper options are tiny unicorn jigsaw puzzles, small colouring in books and pencils, and unicorn magic. The last of these party bag options is something you can easily make yourself. Just buy some super small glass jars with a cork stopper and fill with pastel coloured glitters – the more the better! Place a tiny label on the bottle saying ‘uniron magic’ and you’re done.